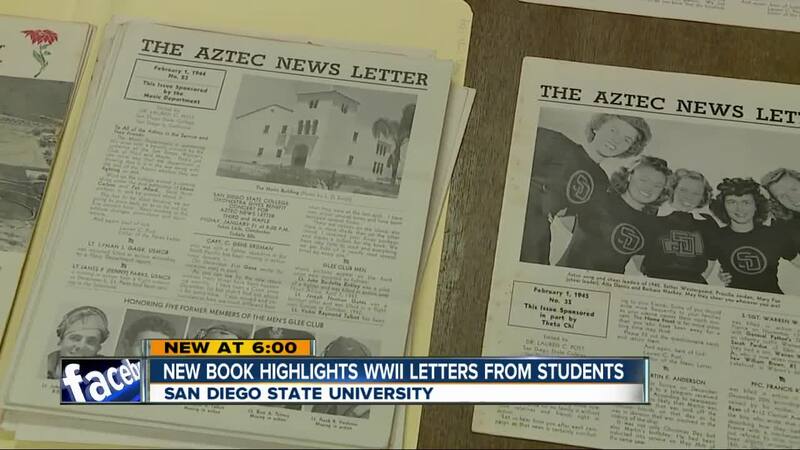 SAN DIEGO (KGTV) - A Mesa College professor has pulled thousands of World War II-era letters out of the archives at San Diego State University and written a new book highlighting the Aztecs' contributions to the war effort. "No Forgotten Fronts" tells the story of Dr. Loren Post, a professor at SDSU during the war. He asked students to write him letters so he could keep in touch. 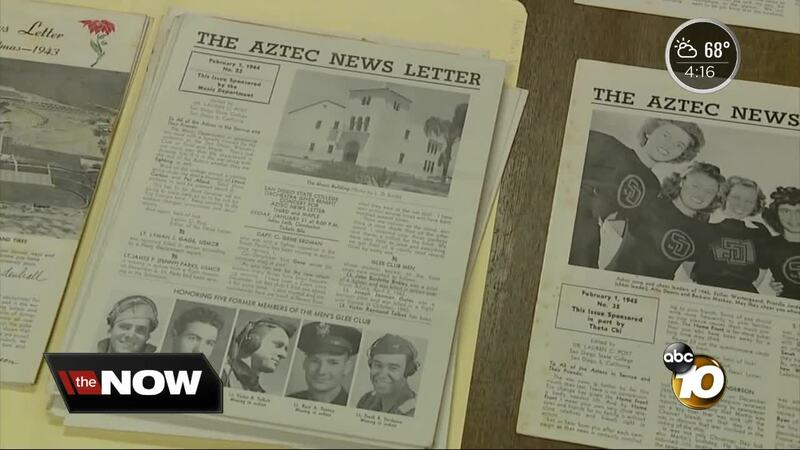 He then took their letters and created "The Aztec News Letter" so students and families could keep in touch with each other during the war. "The letters are very compelling," said Lisa Shapiro, who wrote the book. "They're inspirational and emotional." As a professor at Mesa College, Shapiro wanted a way to understand what some of her Veteran students had gone through. She heard about the letters and started reading them. "Once I started, I couldn't stop," she said. "Little by little, what happens is you start to find the stories." Shapiro decided to turn those stories into a book, so more people could learn about the contributions SDSU students made during the war. "That was the promise that Dr. Post made," she said. "No one would ever be forgotten." Shapiro said the newsletters that Dr. Post wrote became must-reads around campus. Over time they evolved from simple type-written pages to full-fledged publications. "He didn't sugar-coat things," said Shapiro, noting that the newsletters had information about who had died, went missing or been injured. But they also had good news from campus to keep the soldiers connected to their home. "By taking their words and sending them back out and showing them they weren't forgotten, this one professor made such an incredible difference in the lives of his students." Shapiro also noted that, through the letters, you get an excellent history of the entire war. "You have eyewitness accounts of battles, this is what it feels like to jump out of an airplane. And you have these very touching, moving letters where people talk about grief." The book, "No Forgotten Fronts," is published by the Naval Institute Press and is available online and in stores around San Diego. You can find more information about it here .